Whoo Hoo, it's Thursday already! One of my favorite days, and today is special because I'm joining in Amanda's Thinking Out Loud linkup! I'm also joining in Nicole's Treat Yo Self linkup, because let's face it...today's subject is definitely a treat! Pretty much the only thing on my mind lately is my upcoming trip. I get so excited when I first buy tickets, and then a few weeks before the trip. I love planning, so it's always so exciting for me to make itineraries and book hotels and tickets! I always try to keep my schedule open during travel instead of booking every last detail, but I still like to have some places planned out that I want to visit! Here's what I want to visit in each city. If you've ever been to any of these places PLEASE give me suggestions below or email me at gub117@gmail.com! I would love recommendations! Every time I've visited Europe, I've been blown away by their churches. They are breathtaking and incredible. I'm always in shock when I walk in them, so I have to check out Palma's Cathedral. The pictures from the outside are remarkable, and I bet the interior is just as beautiful. We'll be making a trip to a small port town of Soller. One way to get there is by an old wooden train that goes through the mountains of the island. The trip looks beautiful, and so does the town! I can't wait for the day trip! I'm not sure if we'll actually make it here, but this is an incredible-looking bar on the outskirts of town. There's also a smaller bar in the city called Abaco. 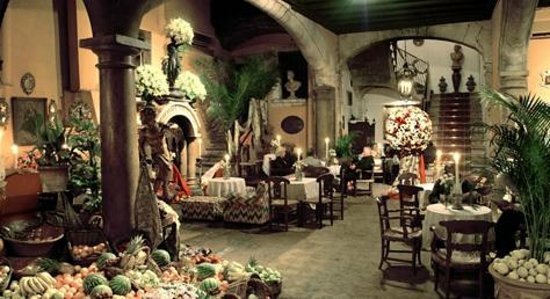 I want to come here for the atmosphere and I'm expecting to pay an outrageous price for a simple cocktail, but this place looks unreal!! The island is known for their incredible beaches, so I'll be sure to pack a bathing suit! Luckily we'll be staying with my friend who's teaching English on the island, so she can lead us to a beautiful beach I'm sure! This seems to be one of the most famous buildings in Malmo, and is in a beautiful area right by the water. It's actually the tallest building in all of the Nordic countries! You guessed it- another city, another church! This one was built in the 1300's and looks beautiful on the inside and out! Malmo Castle is located in a beautiful park that's right by our hotel. It also houses a few of Malmo's museums, including the Maritime Museum which Dan's interested in visiting. Some people described this building as a run-down mill, but I'm still excited to visit it and maybe even run around the grounds! 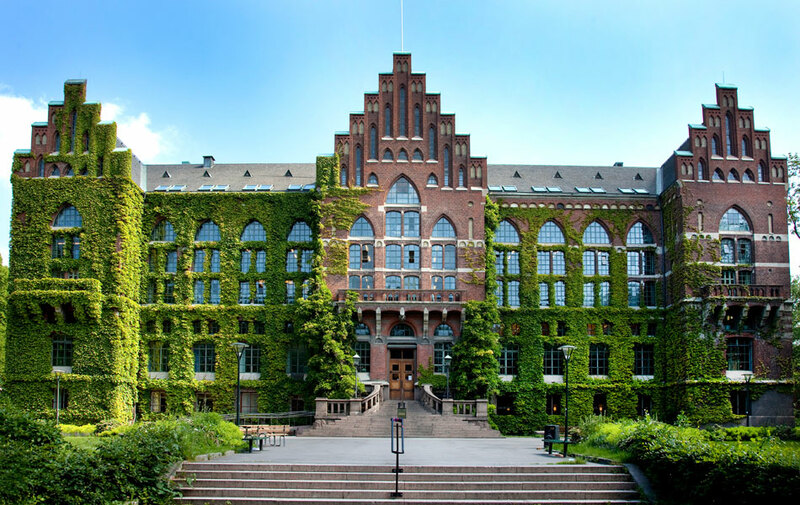 Lund is most known for its university and for being an important religious center of Scandinavia. I have a friend who's currently studying at the University (and is about to graduate! ), so I'm sure he'll give us an amazing tour! The building above is the library, but everything looks insanely beautiful on the campus! 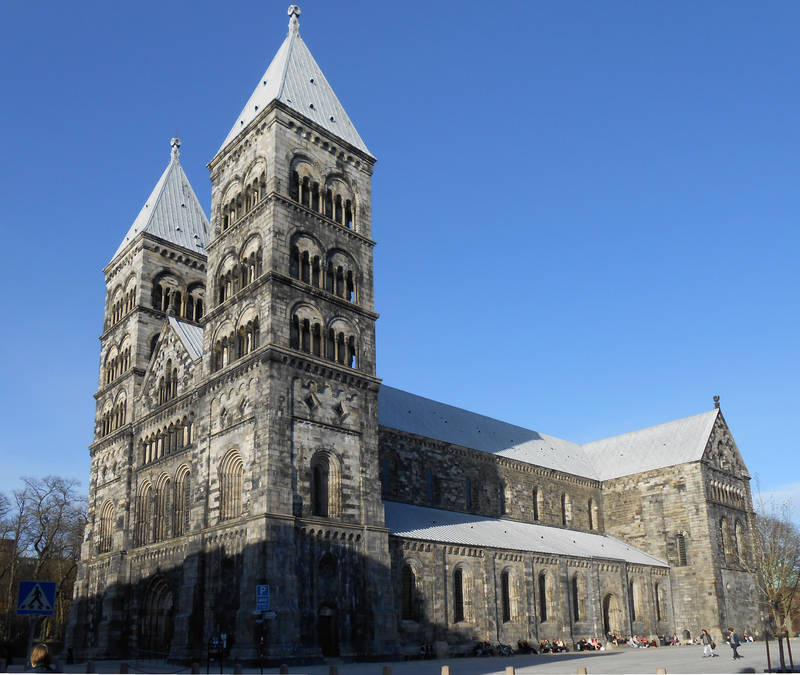 The Lund Cathedral is the most famous and popular church in Sweden. It's such a beautiful, HUGE building that even has an Astronomical clock. I'm sure it's going to be amazing. There are a few castles in Copenhagen, but this is supposed to be the grandest of them all. There are also beautiful gardens on the property. It looks spectacular, and hopefully the flowers will be in full bloom! I hope we also get to visit some of the other castles as well! I've seen a lot of mixed reviews on this building, but I love visiting observation decks in cities. It's so cool to look out over all the rooftops and see the entire city from one location. The harbour, along with the Little Mermaid statue, seem to by the symbols of Copenhagen. I hope we get to go on a boat tour of the harbour, or at least walk around. It looks so beautiful and colorful! Tivoli Gardens is the second oldest amusement park in the world, and I love roller coasters, so I'd love to stop here! You can also buy passes to walk around the grounds (and it's included with a Copenhagen card) so I hope we get to go. Another beautiful church to visit! This church also has a spiral staircase on the exterior of the spire that takes you to the top to see the entire city. I'm so excited! Be sure to let me know any places that you would recommend in any of these cities, or what I should stay away from. I've basically never traveled out of the US, so I'm especially excited to hear about yours! I just found out yesterday that the radio show for is planning a European Cruise for 2016 so I might finally have something to look forward to! You're gonna have so much fun! That sounds like such a fun trip! Dan and I really want to go on a cruise sometime (either Caribbean or European). I hope you get to go! I've never been to any of those places, but I'd -kill- to go some day! It's been a good handful of years since I've visited Europe, and I'm always amazed by how different things feel over there. You're going to have an amazing time! I really want to go to Spain one day. I have been to Copenhagen and if you want to walk, I suggest walking the harbor to the Little Mermaid statue. It was a gorgeous day and felt great to walk the city. Thanks for the suggestion!! It sounds like a perfect walk :) I'm so excited! This all looks amazing! I've never been to any of these places but maybe someday. Have a wonderful time! Hopefully one day you'll be able to go! I can't wait :) Thanks for stopping by! That Turning Torso building looks so cool! My husband is an architect so when we travel we usually check out cool buildings. Sounds like its going to be a great trip! How long will you be there? Your trip sounds amazing! I have been to Europe but none of those places so I have no suggestions. Sorry. I can see why you are so excited! No problem! Europe is such an amazing place. Where have you been?